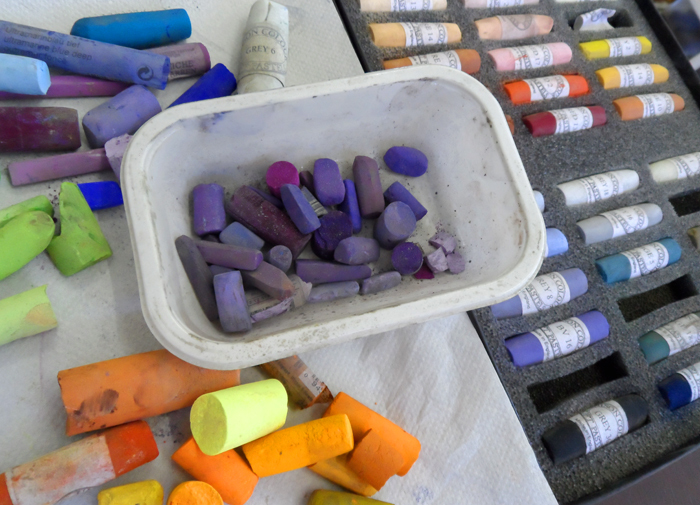 Join the Pastel Academy Online List Now! So Why Am I Shelving My Own Career for a Mad Mission? Resume, What Made You Become an Artist? Quite a few people have messaged me about this and I said I would explain it better in my blog. Writing, Painting, Sketching & Drawing, Planning, Photography, Documenting, Organising, Teaching, Exhibiting, Dealing with Galleries, Motivating, Self Motivating, Self Disciplining, Advising, Encouraging, Computing………Blogging………. Why Do You Want to Be An Artist? Lets be honest here – trying to earn your living as an artist is hardly a good game plan if you are looking for a regular income. Some of you reading this right now are probably wondering the same thing – and yet – for what ever your reason, your art is a part of your life, and a part that you most likely treasure. And what if you are not interested in earning an income from your work? Let alone a living wage. What makes you want to be an artist? I grew up with a multi talented (or skilled – whatever you might call it), Grandmother – you know the idea – whatever my Nanna Ada did – she did beautifully. During the 2nd World War she was a busy lady; making clothes for the family, and wedding dresses for those who could get enough clothing coupons together to buy enough fabric to make a wedding dress. Ada was also a knitting pattern designer, and an expert in knitting and crochet. (for those of you who dont know what rationing coupons were – Google wll keep you busy for weeks! ) Special clothes -even for men. She was an talented florist (the ‘go to person’ for a wedding for sure – she covered it all) – and spent hours ‘wiring’ flowers for lapels and bouquets. Her cooking was renowned – a real home cook of course – eating out was not something people she knew did during those years. Come Christmas – her artistry made the festivities memorable – special pies and Ada’s tarts, and her Christmas Trifle was something the whole street came to see before it was eaten. (It was made in a punch bowl). Her Christmas house decorations were amazing and cost nothing. On top of that – she was a Cap and Gown Pianist (in other words she was capable of pursuing a career as a professional pianist and did in fact have the opportunities offered her – but as the oldest sister of a large war time family it was not to be an option – she had to look after her siblings or go to work). Could she draw? I have no idea, but I took after her in all other things – anything to do with my hands, came easy for me. But my guess is that she probably would have been able to draw too, had she not been kept so busy with the necessities of life during wartime Britain. – keeping people clothed and fed. If she was here today – I could teach her to draw for sure. Did she earn a good living? Absolutely not. During the war needs came first. Some would pay her two shillings for her skills in making a dress – but that was rare. Conclusion – she gave more away than ever she earned or charged for her time her skills and talents. Some of you will have similar stories in your own family. It was second nature to her to give rather than charge for her skills. Now of course part of that is because women had for centuries been expected to give rather than charge, and the idea of a woman having a ‘career’ in working class Britain back then was a bit ‘far fetched’. Boy have things changed some 80 years later. Of course the real issue here is ‘Was she happy’, giving and providing and helping and ‘saving the day’ on many occasions when she sat up most of the night sewing a special dress for a special friend. I don’t think she would have even questioned her role back then. It was rare that women did. But this much I do remember – she felt she spent her time wisely – she loved to learn, and of course back then it was the done thing for women to stay home and she never felt the pressure of having to go out for a wage. Now that is a freedom many people today would value. So What Did I Learn from This as an Artist? It is natural to create – on any terms and in any fashion; at lease it was in my family. (My mother considered herself the only non creative member of our family. Not true – she created the fun, the laughter and the chaos which was the backbone of the family. Amazingly she judged herself as non creative until she took up knitting. But she did undervalue herself as a result of being surrounded by creative members of the family). It was absolutely the expected thing for women in Ada’s day to be creative. Homemaking and nurturing the family was expected of women; and that involved a lot of ‘improvisation’ which today we might call ‘artistic inspiration’ and ‘artistic licence’. Being creative and being artistic – are the same thing. I learnt that producing artwork – for me – was and remains something totally detached from financial considerations. That said I have needed to earn an income. I’ve discovered I cannot do anything without the ‘artists eye’ coming into to play. Someone said recently that you can tell my garden is the garden of an artist. Did I think of that? No. I do what I do – I cannot see with the eye of the beholder. I can say now that the best work I produce, or the work I am happiest producing, is done for my own pleasure and gratification – not for clients. (That of course is not unusual for successful commissioned artists to feel that way – one of my idols John Singer Sargeant felt the same, as have countless other artists). I still love to learn and grow as an artist. I never want to stop learning. In fact continual growth is up there with my primary reasons for wanting to do what I do. Just like my grandmother’s passion was for more and more intricate and interesting patterns. Above All Else: I learned that to be an artist is to value the nurturing role. This is true of me but may not be for everybody. Maybe it is because of the wonderful role model I had that I link creativity with nurturing. It is what makes me a passionate teacher. I absolutely thrive in the teaching role and seeing others develop and progress. And true to say the older I get the more I realise that the wealth of knowledge I have may not be ‘passed down’ if I don’t take positive action. So it means that for the forseable future I put my own work to one side and get on with the development of the courses. The emails I have received from those concerned that what I am doing is career suicide (yes one mail actually put it that way and I understand her point). But there is no other way and what I have planned re tuition needs time and focus to get it done properly. A few select commissions I would never refuse, but those apart my studio has morphed into a recording studio. In a way it is exciting were it not for the sheer size of this project. But Onwards and Upwards, and if I am lucky I will have a few well trained and passionately dotty pastelists to show for it all in the end. And that is what this blog has been about. My Grandmother has been a lot on my mind lately. Subscribe to my Pastel Updates and get my 15 top Hints & Tips on Using Pastel Free! * Are You interested in Using Pastel? * Do You want To Learn More about my Work? * Would You like info on my upcoming online tuition? SO please let me know if any of this resonates with you. Did you have an Nanna Ada in your life? Share your story – it will be much appreciated by many if the last blog response is anything to go by. Comment below. used her hands – this time knitting. Heather, your memories of your Nana certainly resonate with me. In fact they remind me of my own mother and grandma, women both of whom were creative and nurturing in so many ways. My love of art definitely stemmed from Mum, she cooked, baked, made our clothes, painted, drew, knitted, and did a whole host of other things. She was always there to encourage myself and my siblings in any creative venture we came up with – from showing me how to mix colours to helping build science projects for school assignments. Although she did draw the line at teaching me to knit – being left handed she said it was an impossible Herculean task that would drive her to the brink. I must ask her to the brink of what …. And one thing I have realised as I have grown older (not necessarily wiser mind) is that one of the true roles of the creative/artistic/nurturing person is to pass on knowledge with the aim of expanding someone else’s experience and watching them grow as a person, an artist whatever they want to be in life. And a direct result of this leads to you learning as well – a sure fire win-win situation! I have learned much more from the training courses I have given than I thought possible. Creatively I get much more out of the works I do for myself, there I can be truly self expressive without the constraints placed on me by a commissioned work, but having said that, every painting is a lesson and another opportunity to learn. When I look back on my first attempts and compare them to my latest project, I can see a clear progression, and ultimately that is what being an artist is about. 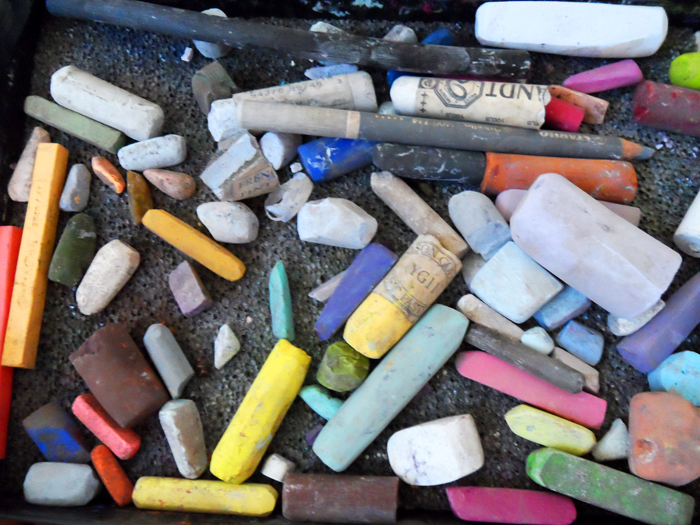 Subscribe to my Pastel Updates and get my top 15 Hints & Tips for using Pastel! Copyright -Unauthorized use and/or duplication of this material without express and written permission from the author and/or owner is strictly prohibited. Subscribe To my Updates and get my Top 15 Hints & Tips for using Pastel! Join my mailing list to receive updates of my work, my blog and future Online Courses!